Whether you’re looking for maps of Nepal and India or adventure stories from the world’s most experienced climbers, we have the books and maps you need. 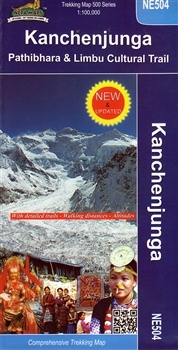 We have Mount Everest and Himalayan travel maps with topographic representations and map legends outlining highways and borders as well as the most important and popular spots along the way. From Everest Base Camp maps to travel maps covering the Himalayan mountains, our maps are thorough, easy to understand and built to last. If you’re traveling to Nepal or India to visit Mount Everest or the Himalayan mountains, make sure to take our detailed, rugged maps and adventure books with you. They’ll keep you informed, entertained and ready for action! Shop now to take advantage of our affordable prices and fast shipping on all orders.